Posted March 6, 2017 by Pierre Roustan & filed under fruit, organic, organic produce, produce report. Posted March 3, 2017 by Pierre Roustan & filed under fruit, organic, organic produce, organic produce delivery. Eating Raw AND Building Muscle?! Posted by Pierre Roustan & filed under organic produce. Posted November 23, 2016 by Pierre Roustan & filed under organic, organic produce, organic produce delivery, produce report. 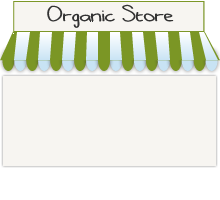 Posted by Pierre Roustan & filed under organic, organic produce, organic produce delivery. Posted September 9, 2016 by Pierre Roustan & filed under Food Philosophy, fruit, organic, organic produce, organic produce delivery.